When it comes to international criminals, most people don’t think of them to be clean-cut gentlemen that look more at home at a local bank rather than running international criminal enterprises, but that’s exactly what Brian Wainstein did. 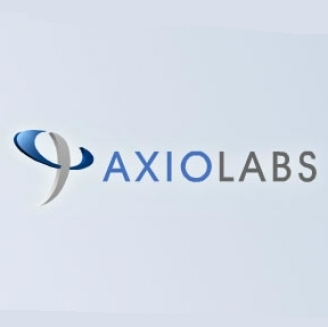 He is the brainchild behind one of the world’s most prominent steroid labs, Axio Labs. During his time as the head of Axio, he was actually being heavily pursued by the American Drug Enforcement Agency (DEA), which is arguably the world’s most sophisticated drug dealer and drug trafficking hunting agency. However, despite the fact they wanted their man so badly, it turns out that someone else got to him first. Wainstein, who was living in one of the most beautiful places in all off South Africa, ended up being intercepted by two unknown hit men and he was murdered in cold blood. Aside from that, but he was also being pursued by the South African police forces. And on a fateful day in August, Wainstein was killed. 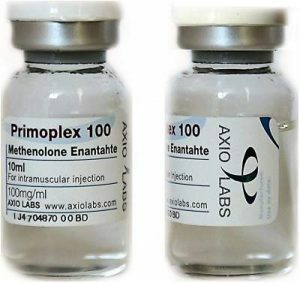 However, despite the fact he was a major kingpin in the world of steroids, authorities say that they do not think that his death had anything to do with his form sale of Axio Labs. So far, three men have been arrested on the suspicion of being connected to his murder. One man, in particular, is named Fabian Cupido. Cupido is a very cunning assassin, or at least, at the time, he thought he was an assassin. He tried to kill a rival gang leader, but as a result, he was imprisoned. Because he had screwed up the hit job on his rival gang leader, this meant that he would be easy pickings. At the time, he had to pretend to be a female doctor, but instead of injecting him with medicine, he decided to inject the rival gang leader with venom from a snake. It was an attempt at killing right of the movies, but unfortunately for him, it failed miserably. The man he was trying to kill is actually a greater part of a bounty that is worth over $350,000. Aside from Cupido, there were another two people arrested in connection with Mr. Wainstein’s murder. The two men are 27 and 31 years of age, respectively. And at the time of their arrest, the authorities in South Africa could not disclose as to what the motive of the suspects may be, but they were currently investigating at the time. Wainstein was an individual that made his fortune in trafficking steroids, but he was also known as someone connected to the deepest darkest underbellies of South Africa’s Cape Town. Despite the immense beauty and gorgeous landscapes, there are a lot of unsavory characters in Cape Town as with any other major locale. Aside from being in trouble with drugs, Wainstein also got in trouble because he got caught redhanded with over a dozen uncut diamonds, diamonds that did not have an ownership whatsoever. He was also indicted in 2010 for money laundering and steroid manufacturing charges. The charges were specifically related to the brief period of over four years when Wainstein was actively manufacturing drugs in the United States. After that happened, he became a full-blown fugitive and started to run from the law. In 2013, Wainstein was eventually caught. Thanks to a warrant for his arrest, he had been apprehended, but he was not apprehended for long. Soon after, he posted bail, which was only set at $50,000. After trying to avoid extradition by hiding out in the posh suburbs of Cape Town, he would eventually be murdered while sleeping in bed with his wife and infant son.